Just finished this quick read! It was very interesting to learn about different parenting approaches. Although I thought it was harsh when this mom rejected the birthday cards her daughters made for her because they were too sloppy, it did make me think about the Western idea of parenting. This author claims because Western parents care so much about their child's self-esteem, it actual hinders a child's potential because they are never asked to push themselves. Certainly something to think about. But Paul is perfect, so I won't have to worry about any of this. i am so excited to read this! 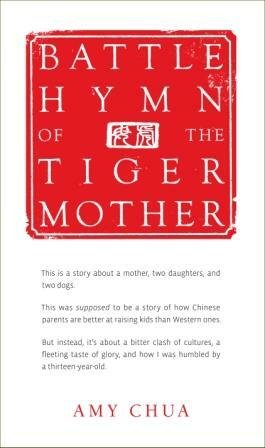 in response to the tiger mom. i haven't read the book, but hear there is a lot of bruhaha about it.